Dr. Onye Nnorom is a Family Doctor and a Public Health & Preventive Medicine specialist. She practices at TAIBU Community Health Centre, in Scarborough and is the Primary Care Lead for the Central East Regional Cancer Program (Cancer Care Ontario), providing leadership on matters of cancer prevention and care to primary care physicians in the region. 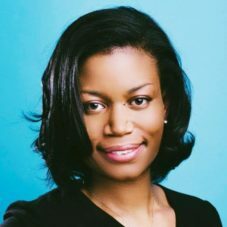 She is also the Associate Program Director of the Public Health & Preventive Medicine Residency Program at the University of Toronto, and is the Black Health Theme Lead for the Faculty of Medicine at the University of Toronto. 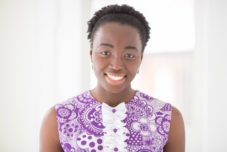 Dr. Nnorom completed her medical degree at McGill University and then completed a Masters of Public Health (Epidemiology) and residency training at the University of Toronto. Being of Nigerian and Trinidadian heritage, she is particularly interested in immigrant health, and Black community health and wellness. Her main area of interest is in the prevention of chronic diseases, particularly cancer. Dr. Rubabaza is a practicing Obstetrician and Gynecologist at Rouge Valley Health System, Ajax-Pickering Site, with special interest in minimally invasive surgeries. He is a founding member of the Black Physician Association of Ontario. He brings many years of community involvement, including giving motivational messages to disadvanteged youths. 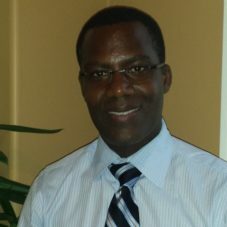 Dr. Rubabaza earned his medical degree at the University of Ottawa Medical School, and completed his specialty training in Obstetrics and Gynecology at McMaster University. He also earned a bachelor of science degree in biochemistry at the University of Ottawa. Dionne Woodward is a Senior Policy Analyst with the College of Physicians and Surgeons of Ontario (CPSO). In this capacity, Dionne is responsible for developing and reviewing CPSO policies that set out the legal obligations and professional expectations for physicians practising in Ontario. 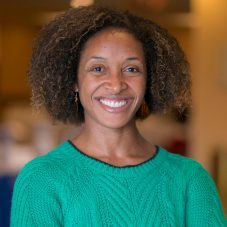 In doing so, Dionne interprets health-related legislation and case-law to ensure College policies reflect the legal landscape. 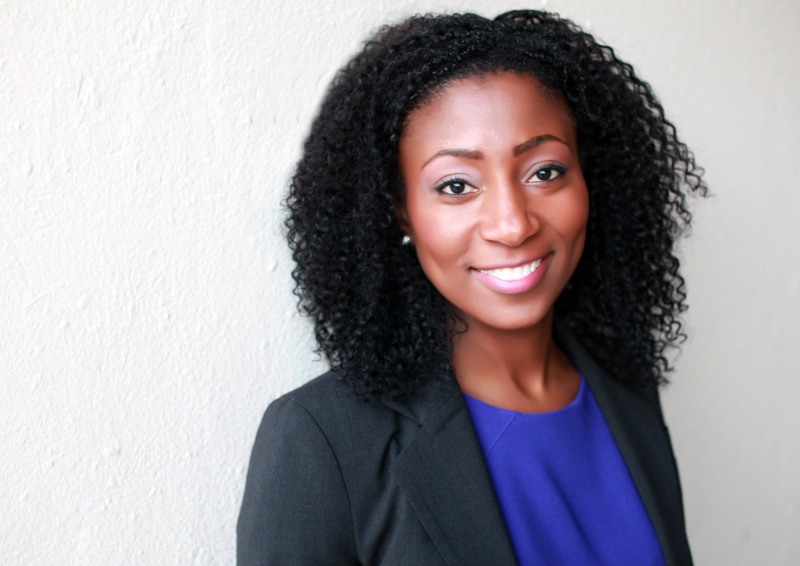 A lawyer by training, Dionne is a graduate of Osgoode Hall Law School and was called to the Bar of Ontario in 2014. Prior to pursuing legal studies, Dionne obtained her Master’s degree in community health and epidemiology, and worked as an epidemiologist in the non-profit sector, and with the provincial and federal governments. 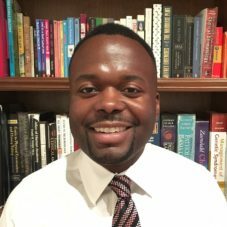 Mr. Evol Williams is a Chartered Financial Analyst (CFA), and holds Certified Financial Planner (CFP®) and Canadian Investment Manager (CIM) designations, and a life insurance license. Evol is an Associate Portfolio Manager with MD Management Limited, where he spent the first seven years as a Senior Financial Consultant. Evol has an interest in Black community outreach and intends to use his area of expertise to advance the work of the BPAO. 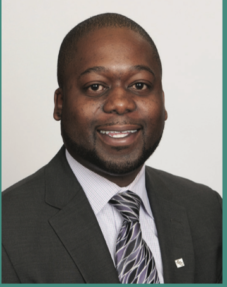 Dr. Tola Afolabi is a plastic and reconstructive surgeon. Her practice focuses on hand conditions, skin cancer, and minor trauma. 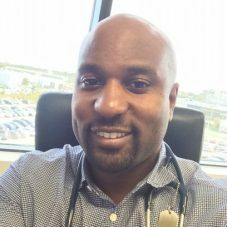 Dr. Afolabi completed medical school at the University of Toronto and residency at Dalhousie University. She also completed a fellowship in hand surgery at the University of Toronto. Prior to entering medicine, she completed an M.A. in English Language and Literature. 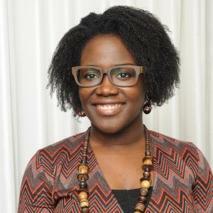 Dr. Afolabi is Nigerian- Canadian and has an interest in improving immigrant health and outcomes. Husam Abdel-Nadir, MD PhD FRCPC (Cardiology and Internal Medicine) is a cardiologist at Women’s College Hospital and the University Health Network, and a scientist at Women’s College Research Institute, the Ted Rogers Centre for Heart Research, and the Institute for Clinical Evaluative Sciences. He graduated from the University of Toronto’s medical school with the Silver Medal in 2007 and completed Internal Medicine and Cardiology residences at the University of Toronto. During his training, Dr. Abdel-Qadir developed an interest in the epidemiology of cardiovascular disease among patients with multimorbidity and completed a PhD in Clinical Epidemiology and Health Care Research at the University of Toronto’s Institute for Health Policy, Management, and Evaluation. His PhD thesis focused on the cardiovascular health of breast cancer survivors. He was awarded the 2017 European Society of Cardiology Young Investigator Award in the Clinical Sciences Category and won the inaugural Young Investigator Competition at the 2017 Global Cardio-Oncology Summit. Dr Neil Isaac is a practising Radiologist at North York General Hospital. 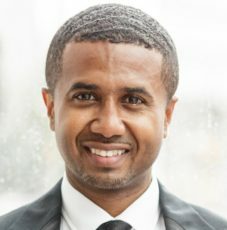 After completing an honours Bachelor of Science at the University of Toronto, he went to Dalhousie University for Medical School as well as residency in Radiology. He completed a Fellowship in Cardiovascular Imaging from the University of Pennsylvania. Dr. Beach joined the BPAO board of directors in 2015. She is the Director of Community Outreach and BPAO’s representative on the University of Toronto Medical School Admissions committee. Her goals are to help strengthen the network and representation of practicing black physicians of Afro-Caribbean descent in Ontario. Her work in the BPAO both informally, through undergraduate student mentorship, and formally, via committee initiatives, are a means to achieve this goal. Dr. Beach graduated from McMaster medical school and is a dermatologist working in private practice and at Women’s College Hospital. Within dermatology, she has a specific interest in treating dermatologic disease in a broad range of ethnic skin types. Paul Galiwango is originally from Windsor, Ontario and came to the University of Toronto to do his undergraduate degree in Biology. He went on to attend the Medical School at U of T, and stayed in Toronto to do residencies in Internal Medicine and Cardiology. Following this he did a clinical fellowship at the University of Ottawa Heart Institute in Cardiac Imaging. Dr. Chiebere O. Ogbuneke is a Family Physician. He completed his medical degree at Nizhny Novgorod State Medical Academy, Nizhny Novgorod, Russia. 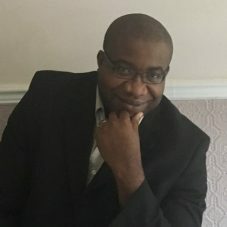 Dr. Chiebere worked in Africa for a few years before moving to UK for a Master’s degree in Public Health at Bournemouth University, United Kingdom. 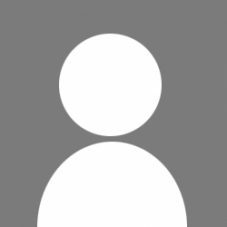 Dina Maxwell is a privacy and data security lawyer with Axiom Global Canada Inc. Dina is a Certified Information Privacy Professional, as designated by the International Association of Privacy Professionals, in both Canadian (CIPP/C) and American (CIPP/US) privacy law. Complimenting her privacy law practice, Dina has broad experience in litigation, including court proceedings, negotiations and mediations. Dina received her J.D. from the University of Toronto, Faculty of Law, and a Bachelor of Arts from Harvard University in English and American Literature and Language, with a citation in French Language and Literature. Dr. Ewurabena Simpson received her medical degree from McGill University in 2005. She completed her general pediatrics training and hematology/oncology fellowship at the Hospital for Sick Children and the University of Toronto in 2012. 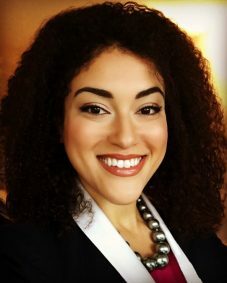 During her fellowship training, she also completed a Master’s in public health at the Johns Hopkins Bloomberg School of Public Health in 2010. Dr. Simpson joined the Division of Hematology/Oncology at the Children’s Hospital of Eastern Ontario (CHEO) in 2012. Dr. Simpson’s clinical interests pertain to pediatric hemoglobinopathies, general hematology and thromboembolic diseases. Her research interests are in health systems improvement for children and adults with hemoglobinopathies and other chronic hematological conditions. Dr. Onye Nnorom is a Family Doctor and a Public Health & Preventive Medicine specialist. She practices at TAIBU Community Health Centre, in Scarborough and is the Primary Care Lead for the Central East Regional Cancer Program (Cancer Care Ontario), providing leadership on matters of cancer prevention and care to primary care physicians in the region. She is also the Associate Program Director of the Public Health & Preventive Medicine Residency Program at the University of Toronto, and holds a cross-appointment in the Department of Family and Community Medicine. 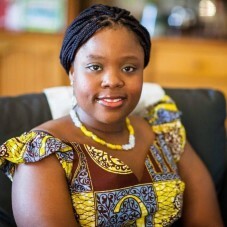 Dr. Nnorom completed her medical degree at McGill University, and then completed a Masters of Public Health (Epidemiology) and residency training at the University of Toronto. Being of Nigerian and Trinidadian heritage, she is particularly interested in immigrant health, and Black community health and wellness. Her main area of interest is in the prevention of chronic diseases, particularly cancer. Dr. Beach joined the BPAO board of directors in 2015. She is the BPAO’s representative on the Black Medical admissions subcommittee at the University of Toronto Medical School Admissions committee. 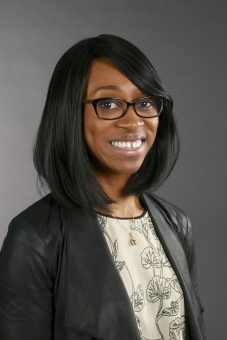 Her goals are to help strengthen the network of practicing physicians of Afro-Caribbean descent in Ontario, and to work both informally, via mentorships, and formally, through committee initiatives, to raise the representation of this cohort in undergraduate MD programs. Dr. Beach graduated from McMaster University’s School of Medicine and completed her dermatology residency at the University of Ottawa. She practices at Women’s College Hospital as well as in private office. 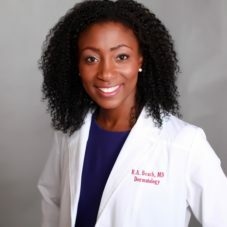 Within dermatology, she has a specific interest in treating dermatologic disease in a broad range of ethnic skin types.